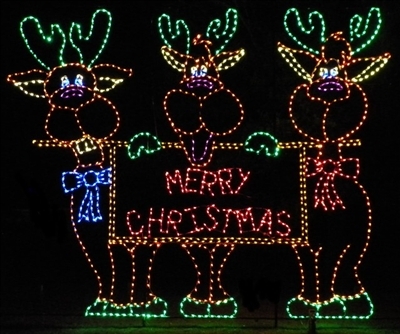 - 18' T x 22' W - Manufactured in 3 panels - Painted in Black - 1305 C7 LED Bulbs. Our commercial yard art pieces are manufactured to meet any and all of your commercial needs. Products pictures are actual pictures and not computer generated images. Due to Height of item we used C7 wiring and not LED M5 miniature lights. 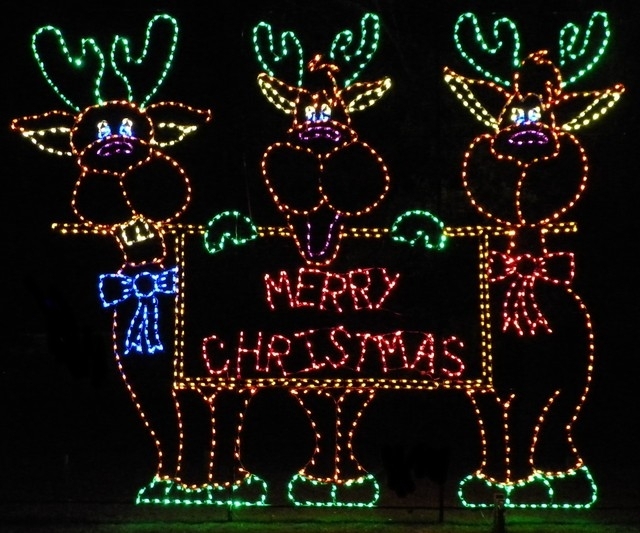 Please feel free to give us a call to discuss any and all of your lighted reindeer yard decorations.